While the delegation is visiting Washington DC Saturday, it will reach Boston on September 11, Miami on September 12 and Houston on September 13 and Bay Area, California on September 16. 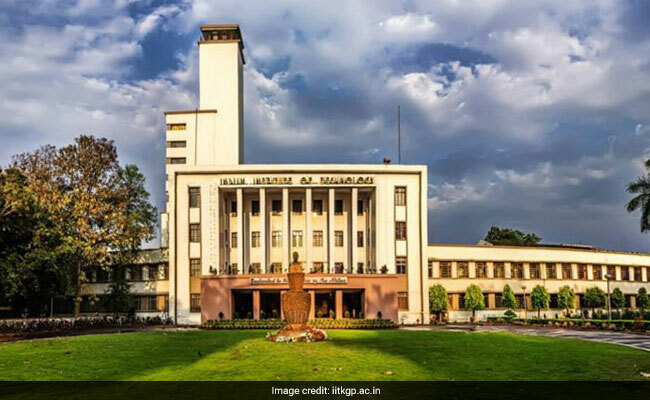 As part of the international outreach programme, an IIT Kharagpur delegation is visiting the US to meet researchers looking for a career in the best higher education and R&D institutions in India. "We are keen to engage with bright and promising doctoral students and post-doctoral fellows in the US and discuss academic career options at the Institute," Director P P Chakrabarti, head of the delegation, said in a statement Saturday. He said the institute was striving to enhance its human resource in teaching, learning and research "by providing a fulfilling research and academic ambience to young talents, beit innovative research or developing new methods of teaching and education." While the delegation is visiting Washington DC Saturday, it will reach Boston on September 11, Miami on September 12 and Houston on September 13 and Bay Area, California on September 16. The team members will be meeting researchers interested in various academic positions and looking for a career in one of the best higher education and R&D institutions in India can meet the team from IIT Kharagpur at any of the events. Mr Chakrabarti will also meet the administration of George Washington University Law School with which IIT Kharagpur already has a technical collaboration agreement. He will also hold meetings on academic and research collaboration with the administration of the Association of Public and Land Grant Universities. Similar meetings will be held with the president of the University of Massachusetts Dartmouth, chancellors of UC San Diego and University of Houston. Two MoUs will be signed in this regard with UMass Dartmouth and Houston. The director will meet the Indian Ambassador to the USA, Consul Generals of Houston and San Francisco and representatives of the NASA, National Science Foundation and Confederation of Indian Industries as part of the outreach programme, the statement said.